We consider theory of gravity, where is the curvature scalar and T is the trace of the energy momentum tensor. Attention is attached to the special case, and two expressions are assumed for the function , and , where , , , , , , , and are input parameters. We observe that by adjusting suitably these input parameters, energy conditions can be satisfied. Moreover, an analysis of the perturbations and stabilities of de Sitter solutions and power-law solutions is performed with the use of the two models. The results show that for some values of the input parameters, for which energy conditions are satisfied, de Sitter solutions and power-law solutions may be stables. It is well known that General Relativity (GR) based on the Einstein-Hilbert action (without taking into account the dark energy) can not explain the acceleration of the early and late universe. Therefore, GR does not describe precisely gravity and it is quite reasonable to modify it in order to get theories that admit ination and imitate the dark energy. 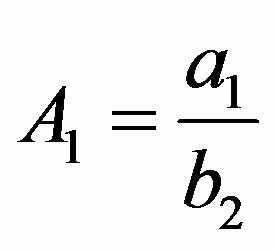 The first tentative in this way is substituting Einstein-Hilbert term by an arbitrary function of the curvature scalar R, this is the so-called theory of gravity. This theory has been widely studied and interesting results have been found [1,2]. In the same way, other alternative theory of modified gravity has been introduced, the so-called Gauss-Bonnet gravity, , as a general function of the Gauss-Bonnet invariant term . Other combinations of scalars are also used as the generalised and [4,5], where and (here and are the Ricci tensor the Riemann tensor, respectively). In this present paper, attention is attached to a type of the so-called theory of gravity, where denotes the trace of the energy momentum tensor. This generalization of gravity has been made first by Harko et al. . In , the cosmological reconstruction of describing transition from matter dominated phase to the late accelerated epoch of the universe is performed. Also in the same way for exploring cosmological scenarios based on this theory, function has been numerically reproduced according to holographic dark energy . Moreover it is shown that dust reproduces , phantom-non-phantom and the phantom cosmology with theory . The general technique for performing this reproduction of model in FRW’s metric cosmological evolution is widely developed in [4,10]. The models that are able to reproduce the fourth known types of future finite-time singularities have been investigated . Note that singularities appear when energy conditions are violated. Our task in this paper is to check the viability of some models of according to the energy conditions. 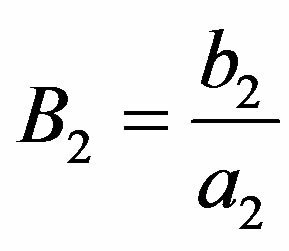 The energy conditions are formulated by the use of the Raychaudhuri equation for expansion and is based on the attractive character of the gravity. We refer the readers to Refs. [12-17], where energy conditions are widely analyzed for the cosmology settings, in and gravities. In this paper, we assume a special form of , that is, , the usual Einstein-Hilbert term plus a dependent function . Two expressions of , and are investigated. 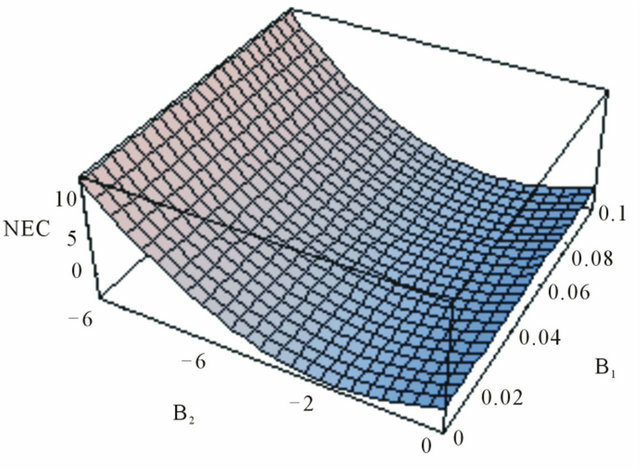 In order to reach the acceptable cosmological models, we analyse the perturbations and stabilities of de Sitter solutions and power-laws solutions in the framework of the special gravity, by using the two models proposed in this work. We observe that for some values of the input parameters, for both models, the stabilities of de Sitter solutions and power-law solutions are realized and compatibles with some energy conditions and the late time acceleration of the universe. The paper is outlined as follows. In Section 2, we briefly present the general formalism of the theory, putting out the general equations of motion for a gravity, where and and are respectively function of the curvature scalar and the trace of the energy momentum tensor. The Section 3 is devoted to the general aspects of the energy conditions. 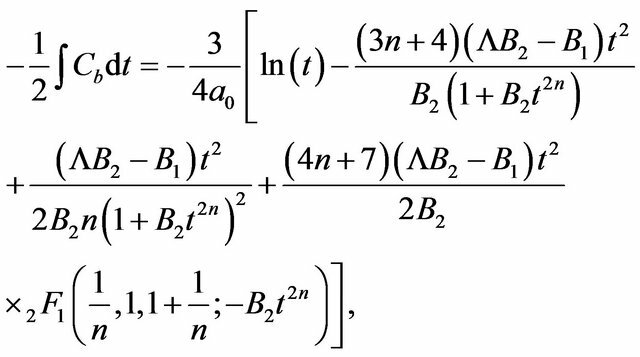 The gravity is assumed in the Section 4, where the two functions considered for are studied, putting out the conditions on the input parameters for obtaining some viable models of . The perturbations and stabilities of de Sitter and power-law solutions are investigated in the Sections 5. Discussions and perspectives are presented in the Section 6. The condition for attractive gravity is , imposing and . These two conditions are called the strong and null energy conditions, respectively. 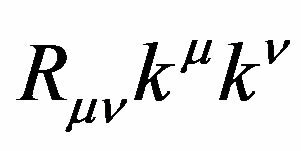 Therefore, the energy conditions, as known in GR, can also be applied in this modified theory of gravity by substituting the ordinary energy density ρ and pressure p in GR by the effective ones, and . In what follows, we will consider models of type , i.e., the usual Einstein-Hilbert term plus trace depending term . This amounts to consider and . 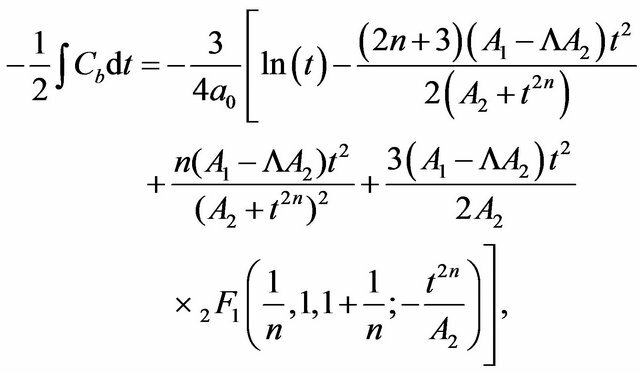 The factor 2 is used just for letting the field equations more easier to be treated. We will also assume that the ordinary content of the universe is pressureless and satisfies the energy conditions (just ). and is assumed to be positive and non-null. This form is chosen due to its interesting aspect, in curing the big rip . and , where the cosmological constant is characterized by (for ), and (for ), and , , and . 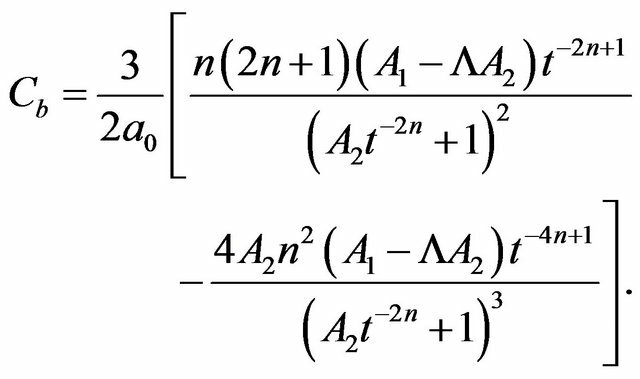 In this case, the model which initially was four parameters dependent, under the cosmological constraints, becomes three parameters dependent, , and for , and , and for . Since the cosmological constant is known , the model turns into two parameters dependent. * , , for * , , for * , , for * , , for . 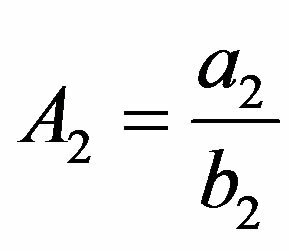 Observe that there are still situations in which the above quantities are negative but the numerators in (25) continuing positive, i.e. * and for * and for . In these cases, one can plot the function in terms of two of the parameters, fixing the other. Despite knowing the sign of the considered parameters with what respect the function may be plotted, the important here is their rank, i.e. the interval to which they must belong in order to produce the positivity of the function. Some examples are presented in Figure 1. Figure 1. The graph representing the NEC in functions of and with , , . varying two of the input parameters. We present some examples of these cases in Figure 2. Figure 2. The graph of WEC in terms of suitable values of and with , , . In this case, there is any obvious condition for satisfying the SEC. However, values can be found, by plotting the corresponding functions in terms of two of the parameters. Some examples for illustrating some of these cases are presented in Figure 3. The evident conditions read , and . Evidently, other conditions may lead to the accomplishment of the DEC, but, only plotting the functions in (40) and (41). We present some of these cases in Figure 4. Figure 3. The graph of the SEC in functions of and , setting , and . Figure 4. The graph representing the DEC in functions of and with , , . The evident conditions for obtaining this are , , , with . It is important to note that this list is not exhaustive, since in other conditions different from the above ones, the NEC could still be realized. This situation requires knowing some intervals to which the parameters must belong. We present this feature by plotting the function corresponding to the expression (43) in terms of some of the input parameters fixing the other. See Figure 5. In this case by plotting the function (44), the WEC can be realized graphically. This is the set of situations where one of the terms in the sum (44) is negative, but it absolute value is less that the absolute value of the sum of the other. See Figure 6. 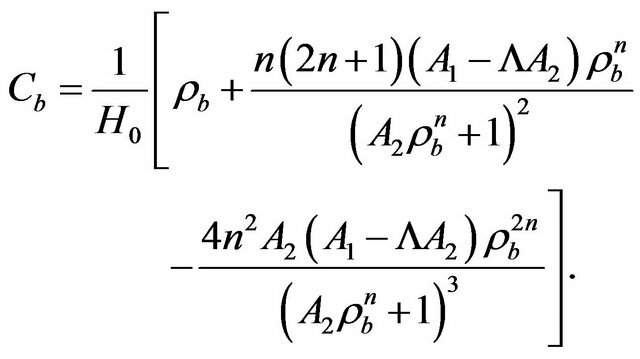 In this case, evident constraints on the input parameters in order to realize this energy conditions are presented as follows: , , , with . As presented in the previous cases, other conditions may also realize this energy conditions. This can be observed by plotting the function in (45) in terms of some input parameters, fixing the other. See Figure 7. Figure 5. The graph representative of the NEC in terms of m and , with , and . Figure 6. The graph of the WEC in functions of m and b3, using , and . Figure 7. The graph of the SEC in functions of and , using , and . Here, constraints may also lead to the DEC, but this is clear by plotting the function (46), as in the previous cases. We present an illustrative example in Figure 8. We mention that for all the graphs, the parameters are normalized to Planck units. Remark that the current value of the cosmological constant is about and the energy density of the usual matter is about . Then, with the normalization, we get and for the cosmological constant and the energy density of the usual matter respecttively, which are the values used for plotting the graph in the figures. Figure 8. The graph of the WEC in functions of m and b3, with , and . but the two models will be studied as specific cases. 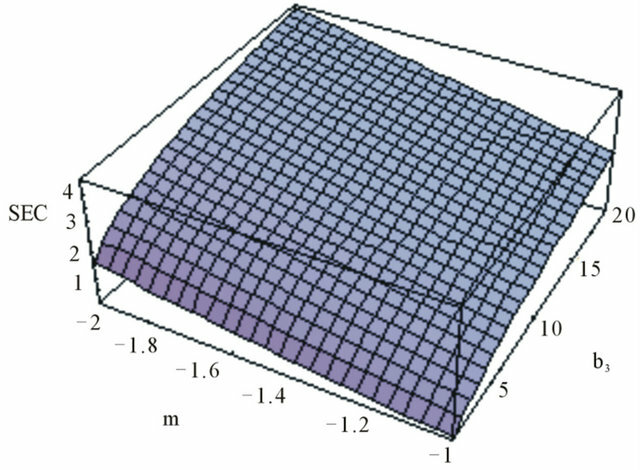 Let us now consider two cosmological solutions and analyze their stability by the use of the models treated in this work: de Sitter solutions and power law solutions. We see from (58) and (59) that for , and as the time evolves, the stability of de Sitter solutions requires . In other word, for the initial model, de Sitter solutions are stables if and only if and . Here, for , as the time evolves, both (60) and (61) tend to . Thus the perturbation will grow exponentially, and this particular de Sitter solution becomes unstable. Note that this result does not depend on any of the parameters or . Let us recall that this model , leads to the avoidance of the Big Rip for and , where , as we have previously shown. These conditions also allow the model to satisfy the energy conditions. Now, let us check what happens about the stability with these conditions. First, note that the relation can be cast into , showing that because of . By choosing , we see that, within the conditions and , the expressions (62) and (63) tend to as the time evolves, and this ensures the decay of the perturbation, leading to the stability of de Sitter solutions with this model. Thus, regarding to the stability of de Sitter solutions, the energy conditions and the late time acceleration, provided with the conditions , , and , we can conclude that the model may be cosmologically acceptable. As the time evolves, conditions are required for guaranteeing the decay of the perturbation. For , it is necessary to have , which means that can be positive, or negative but with . In the case where one may observe two sub-cases, i.e., for an even , and an odd . 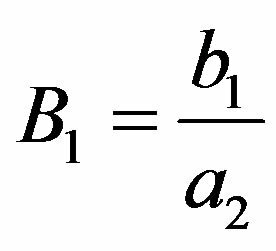 For an even , as the time evolves, the necessary condition for guaranteeing the decay of the perturbation is , meaning that the parameter B1 can be negative, or positive. On the other hand, for an odd r, the requirement for getting the decay of the perturbation is , meaning that . Here, one can distinguish two cases: ( and ) and ( and ). In the first case, one gets meaning that A2 can be positive, or negative but with . When , can be positive or negative, due to the relation , while for , is necessarily negative. In the second case, one gets , meaning that , which allows to be positive, due to the relation . We observe that some of the conditions for which the stability occurs, are also compatible with some energy conditions. This shows that for some values of the input parameters, acceptable models can be obtained, at least regarding to the energy conditions, the stability, the late time acceleration of the universe and the avoidance of the Big Rip. 5.2.3. Treating the Model . As we have previously mentioned, this model cures the Big Rip for and . With these conditions, as the time evolves, only the term grows. 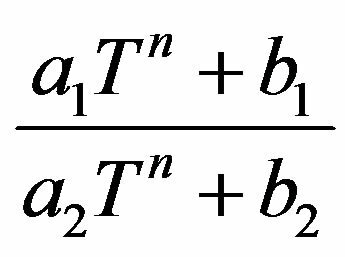 Since is negative for large value of the time, it is easy to observe that the perturbation decays, and this corresponds to the stability of the power law solutions with this model. 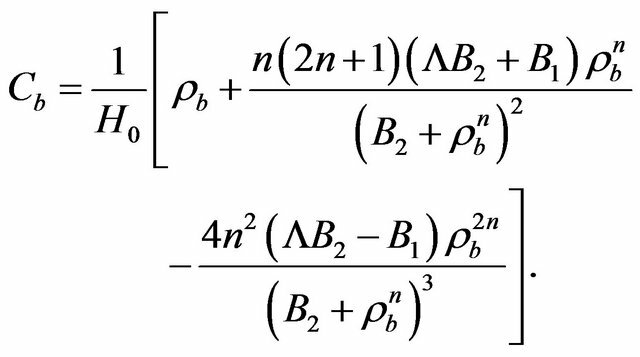 Observe that in this case, the constraints on the parameters and for which all the energy conditions are satisfied, leads to the stability of the power-law solutions. Thus, regarding to the stability, the energy conditions, the late time acceleration of the universe and the avoidance of the Big Rip, we can conclude that this model can be cosmologically acceptable for , , and . We studied the viability of two models according to energy conditions. A special attention is attached to the models of type . For the two models of considered, it is shown that for some values of the input parameters, energy conditions are satisfied. Moreover, we showed that there exist values of the inputs parameters for which the four energy conditions may be satisfied simultaneously, for the two models. An interesting feature of these models is that there fill well with the observations data. Therefore, the graph representing each energy conditions in plotted for both models under study. 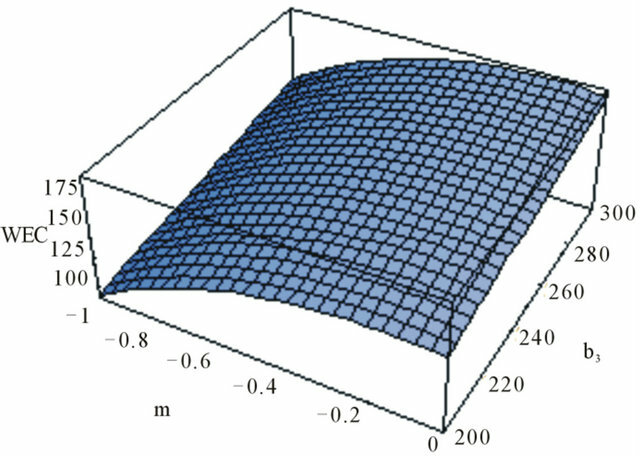 Moreover, in order to make a consistent analysis of the stability of the models, we studied the stability of de Sitter and power-law solutions within the two models by considering the perturbation around them. We see that the de Sitter solutions present stability for two models. 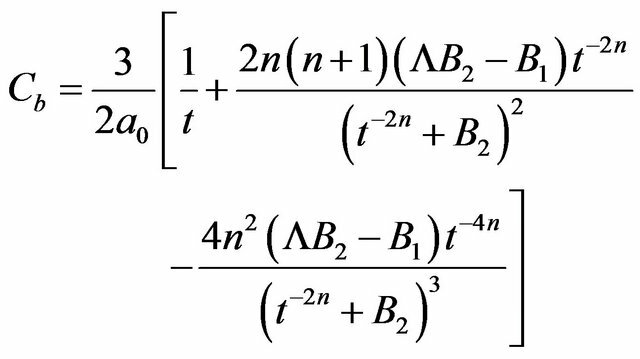 However, for the power-law solutions, the stability can be observed for each model under some conditions. We also see that for the conditions for which the stability is realized, the late-time cosmic acceleration and the avoidance of the big rip are always satisfied. We conclude that, in the frame work of gravity the two models can be viable. M. J. S. Houndjo thanks Prof. S. D. Odintsov for useful suggestions and also CNPq/FAPES for financial support. A. V. Monwanou thanks IMSP-UAC for financial support. The authors also thank very much the referees for useful suggestions for the reorganization of the manuscript. S. Nojiri and S. D. Odintsov, arXiv: 0801.4843 [astro-ph]. arXiv: 0807.0685 [hep-th]. A. de la Cruz-Dombriz and D. Seaz-Gomez. 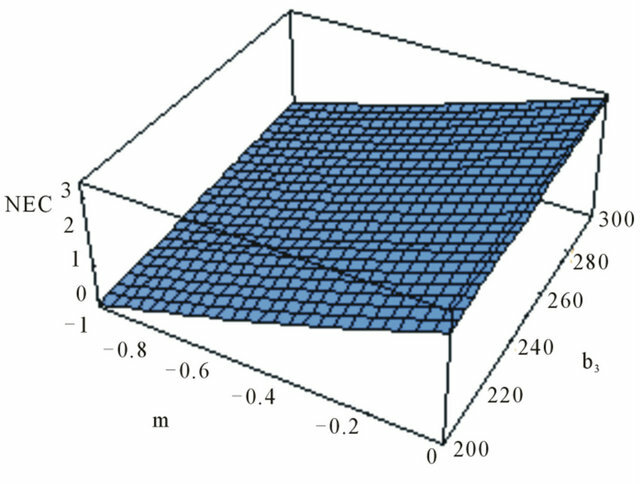 M. J. S. Houndjo, “Reconstruction of f(R,T) Gravity Describing Matter Dominated and Accelerated Phases,” International Journal of Modern Physics D, Vol. 21, 2012, Article ID: 1250003. 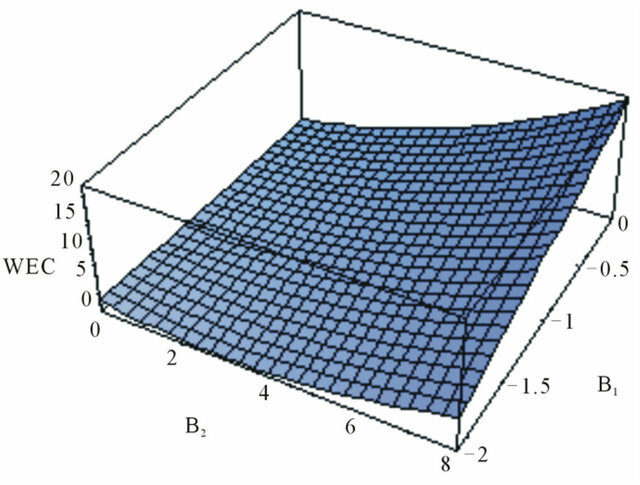 M. J. S. Houndjo, C. E. M. Batista, J. P. Campos and O. F. Piattella, “Finite-Time Singularities in f(R,T) and the Effect of Conformal Anomaly,” arXiv: 1203.6084 [gr-qc]. J. Santos and J. S. Alcaniz, Physical Letter B, Vol. 619, 2005, p. 11; M. Visser, Science, Vol. 276, 1997, p. 88; Physical Review D, Vol. 56, 1997, p. 7578. 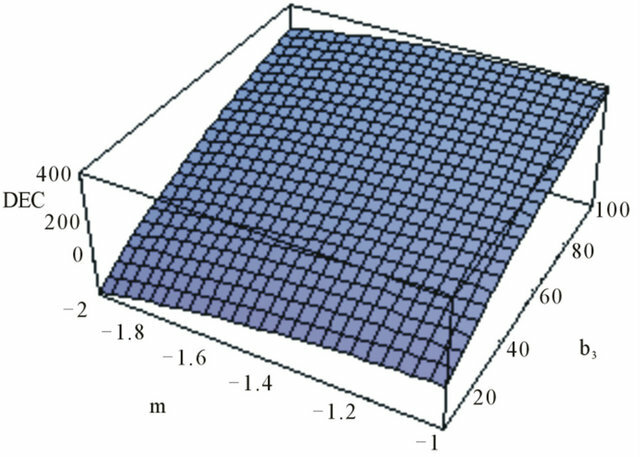 N. M. García, T. Harko, F. S. N. Lobo and J. P. Mimoso, “Energy Conditions in Modified Gauss-Bonnet Gravity,” Physical Review D, Vol. 83, 2011, Article ID: 104032. S. W. Hawking and G. F. R. Ellis, “The Large Structure of Space-Time,” Cambridge University Press, Cambridge 1999. 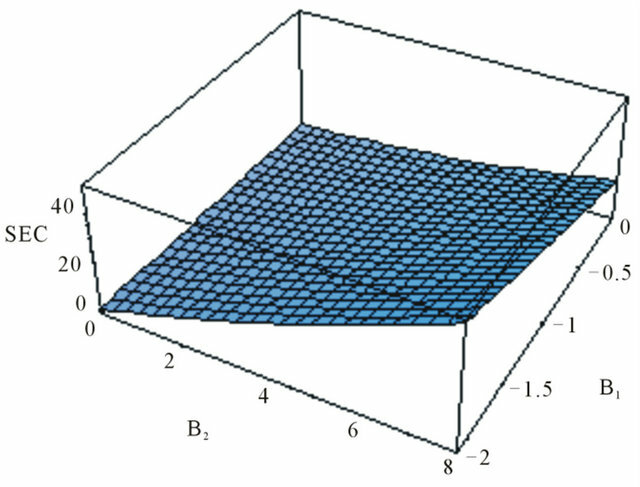 M. O. Tahim, R. R. Landim and C. A. S. Almeida, “Spacetime as a Deformable Solid,” arXiv: 0705.4120 [gr-qc]. A. de la Cruz-Dombriz and D. Saez-Gomez.